Saturdays 9:05 a.m. on The Eagle, KZLS 1640AM or listen in on the OSJ app and website “Home Page” anytime! 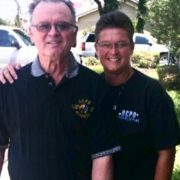 Cris Cunningham is a twenty-five (25) year veteran of the Oklahoma City Police department. She is currently a Homicide investigator, where she has been assigned for the past thirteen (13) years. She has previously worked in various positions including patrol, community relations, public information and child abuse investigations. Cris has been part of many community programs including HOSTS (a reading program in OKCPS) and Positive Tomorrows (serving Oklahoma City’s homeless students). She is also a member of the National Association of Women Law Enforcement Executives Board, serving as the At Large Executive Board member. 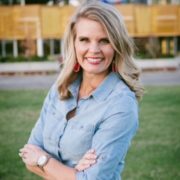 Erin Engelke is the Chief External Relations Officer for Sunbeam Family Services, one of the longest serving nonprofits in Oklahoma, where she manages fundraising, marketing, public relations and volunteer programs. Sunbeam Family Services has been a vital support to individuals & families in the community. In 1907, founder Lizzie Swisher saw a need for a children’s home in her community. With basket in hand, Lizzie & a group of women went door-to-door in their historic Heritage Hills and Mesta Park neighborhoods, asking their peers for financial support. That passion to provide safe housing for homeless boys & girls spread, and their efforts raised enough funds to build a children’s home. The CareTrak individual wristband, available in OKC and Norman. Listen in to find out about CareTrak and these women’s part in this amazing technology available in our community.